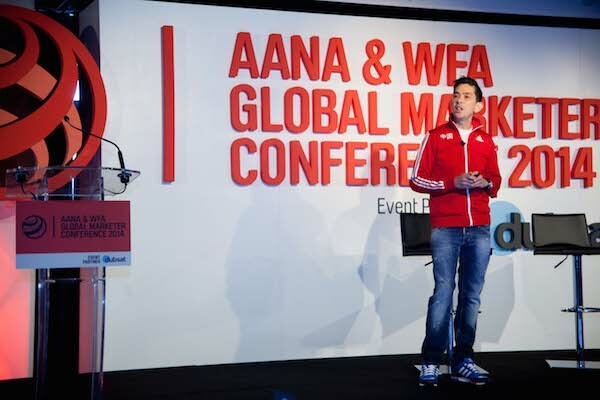 The AANA & WFA Global Marketer Conference on 26 March this year was my fourth WFA Global Marketer Week, and the best. 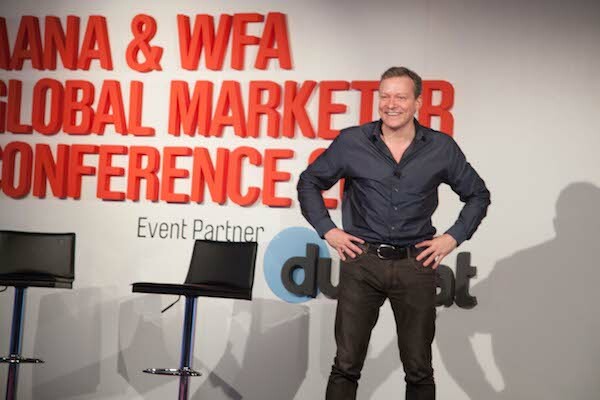 Sure, Beijing, New York and Brussels last year were great opportunities to hear from some of the world’s leading marketers on the issues facing the industry. But to have the event in Sydney made it even more exciting. Meeting up with many of the people and colleagues who I had formed friendships with over the past four years and being able to show off my hometown made the event special. Although Sydney failed to turn on the blue skies and sunshine (some suggested the English contingent brought the weather with them as revenge for the Ashes over the Summer), the conference at Doltone House, Darling Island Wharf, Pyrmont was a terrific event showcasing marketing talent from here (Australia) near (through Asia) and far (From Europe and the US). 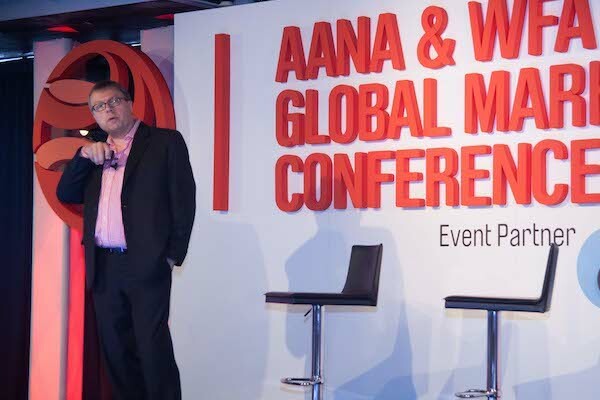 Kicked off by Sunita Gloster, CEO, AANA (seen above) here are some of the highlights of the AANA & WFA Global Marketer Conference. 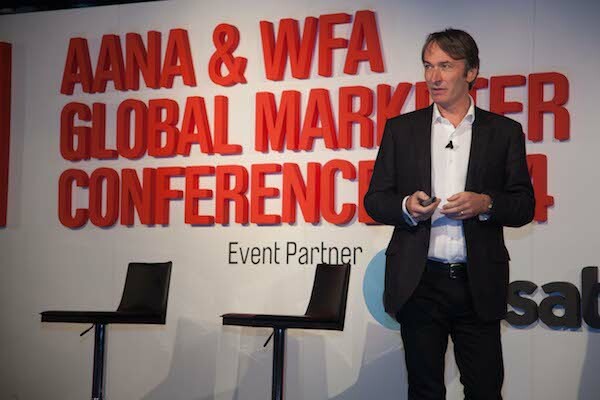 The WFA research has shown that purpose is considered as a core focus of successful brands. 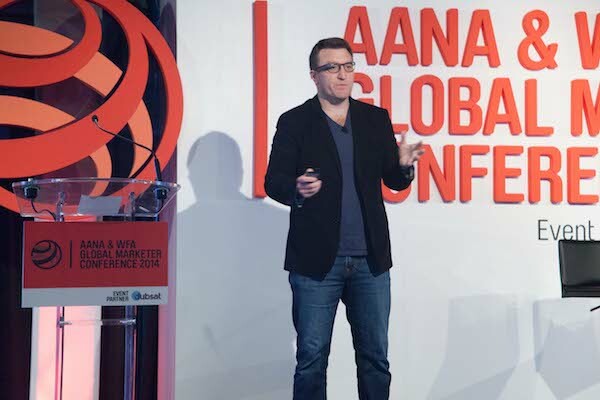 With Unilever as a global purpose leader, who better to discuss marketing purpose than Marc Mathieu, Senior Vice President, Marketing, Unilever? Marc presented a number of examples of brand with purpose from the Unilever portfolio including Axe/Lynx and Dove telling the audience that “a brand without a brand is just a billboard”. This left me with the thought, is it best when a brand arises or has a purpose naturally at its core, compared to overlaying a purpose on the brand? Or doesn’t it matter? The reason being that often brands will adopt a purpose or cause, which can cynically appear to be just a facade to obscure their real motivation. Michael Birkin, CMO, Acer Inc. then shared the insights his company has developed into the all important millenials (also known as Generation Y). He reminded the audience that by 2018, millennials will have the most spending power of any generation ever, with a global spending power of $2.5 trillion. Therefore brands must be careful in crafting their social messages for the very self-aware millennial generation. 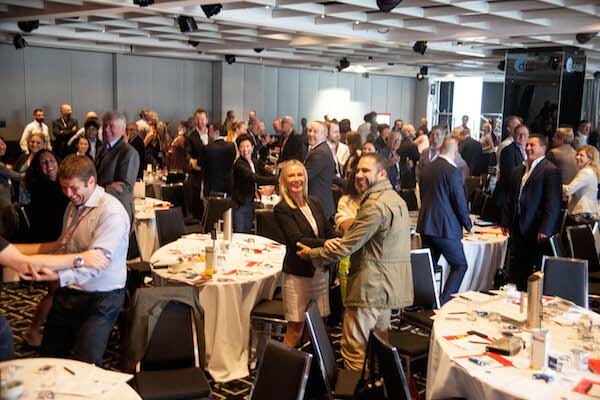 While Michael’s research and insights into the millenials was fascinating, I was more impressed by the fact that 30 minutes into his 40 minute presentation, Michael realised they had loaded the wrong presentation. Ever the consumate professional he powered on. Heading up a global luxury brand division meant that James Thompson, Global Managing Director, Diageo Reserve was the perfect person to share the the opportunities and challenges of marketing luxury brands. 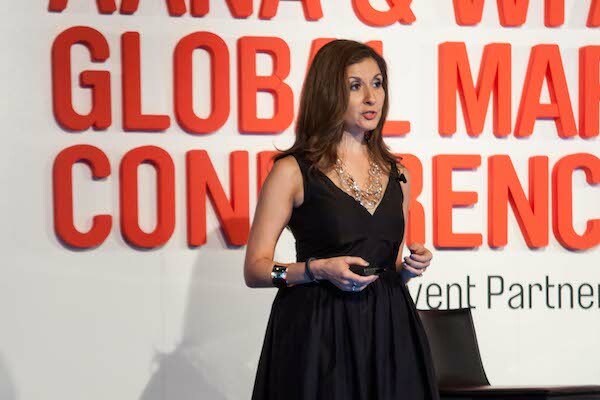 It took a woman to demonstrate how cultural and gender diversity is not a challenge by talking about an opportunity using feminine sanitary pads and tampons to a room full of male and female marketers. 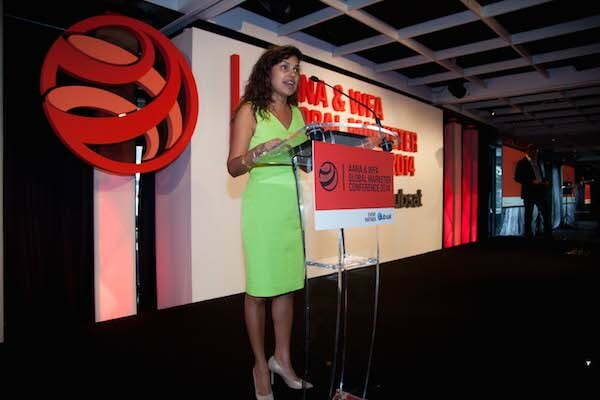 Michelle Froah, Asia Pacific Senior Regional Marketing Director, Kimberly-Clark International made her point clearly and visually with campaigns from across the APAC region for the Kotex brand. At a time when there is so much discussion about delivering efficiencies through global advertising campaigns, it was refreshing to hear and see the effectiveness of embracing the diversity of the various markets, rather than a simple applying a cookie cutter approach. 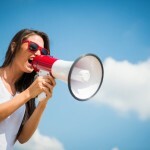 Michelle also encouraged marketers to develop direct relationships with the media, and not rely simply on your media agency, which appears to be misinterpreted as cutting out the media agency. Rather, where marketers have managed to build collaborative relationships with their media agencies and the media proprietors, innovation and opportunities abound. John Kearon, Founder & Chief Juicer, BrainJuicer had the crowd jumping – literally. His session, without slides or video, addressed creativity, innovation and human nature and behaviour. The key point of John’s presentation is that if you do not understand human behaviour there is no way you are able to influence this behaviour. And that this behaviour is rarely logical, but it is usually predictable. Ed Sanders, Director of Marketing, Google Glass, says Google’s biggest challenge is addressing the concerns people have over the ability of Google Glass technology to invade privacy and breach security. Certainly Google Glass is incredibly desirable wearable technology, but more interestingly for marketers was Ed’s recounting of the importance of collaboration in the development of this innovative technology. In a world where businesses and even the agencies are placed into a silo structure, collaboration is easy to talk about, but it continues to be essential in developing innovation within the same organisations. Colin Currie, Managing Director, Adidas Group, Greater China opened the eyes of those who had heard of China, but had never been there or done business there. He presented the figures that showed the size of the market place, and for the rest of the day I overheard people talking about the number and size of the cities in China. He also explained the diversity across China and the myopia of thinking of China as a single homogeneous market place. It is this diversity that makes China feel like a market pulling in two directions at once and that the sheer scale and the pace of change in China has the ability to fundamentally change the way we do business. It means on a practical level that you need to rip up the rule book. 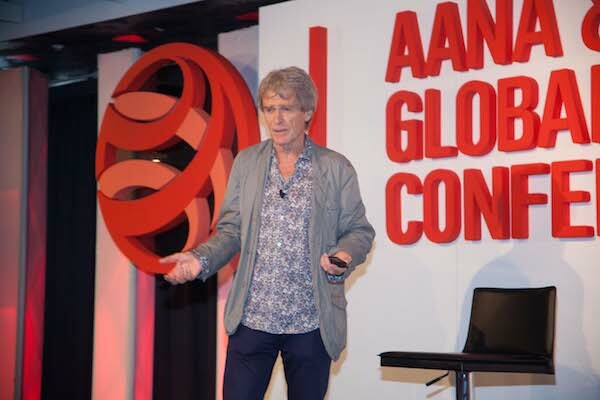 The keynote of the day was Sir John Hegarty, Founder and Creative Partner, BBH. Certainly there was much anticipation to hear the creative legend speak. His presentation is here courtesy of the WFA but I think it’s best to leave the man to speak for himself, so here are some of his better quotes. Plus the 5 things that Hegarty thinks are “fundamentally important”. Three: Consistency. – Focus on consistency as this leads to long term growth and success and he cites the Nike Just Do It Campaign versus Reebok who changed their positioning regularly. Personally, of Sir John’s rant, I was left feeling I had heard it all before. Be it Bill Bernbach of DDB fame (Who Sir John Hegarty acknowledged as an influence) or Bob Isherwood, ex-Saatchi & Saatchi Global Creative Director, or more recently Craig Davis, ex-JWT Global Creative Director. Don’t get me wrong, it is always important to be reminded to get back to the fundamentals. 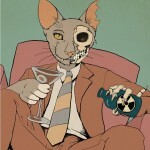 But the world is increasingly more complex and the issues and choices increasingly so. Yet these exceptionally talented creative people seem to have no more solutions to this complexity than anyone else. 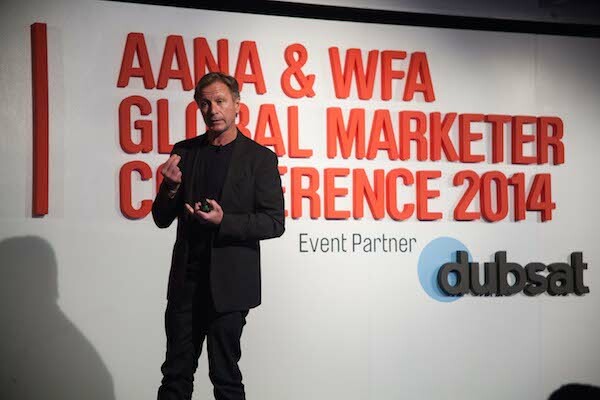 There are few opportunities in this industry to spend a day thinking about the broader issues facing marketing, but the WFA Global Marketer Conference is one of the few. You get to spend a day listening to thought leaders from around the world present their thoughts, views and experiences. One thing I do agree with Sir John Hegarty on is this is an exciting time to be in marketing. Based on the quality of this #GMW2014 and the fact the next one #GMW2015 is in Marrakesh, Morocco I hope to see you all there.